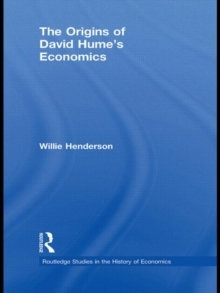 The book covers Hume's biographical development; his self appraisal as a 'man of letters'; his philosophical writings with emphasis on their direct and indirect economic content; his self-aware criticism of his approach to the Treatise and the development of his rhetorical understanding of the needs/interests of his readers/potential readers; his rhetorical turn and Ciceronian adjustments to his writing within the genre of the essay, including his two Enquiries; his political essays and his nine essays conventionally classified as economic. 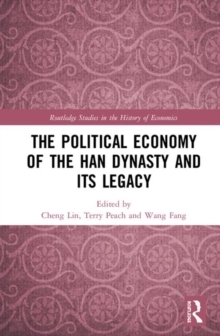 The work aims to show how the Treatise and its vicissitudes gave rise to his economics. 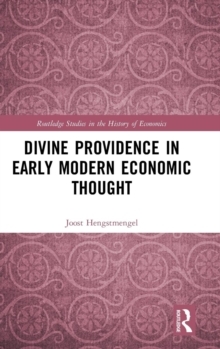 The work takes a broad approach to Hume and his writings on economic topics from the Treatise, through the Enquires and on to his political and economic essay. 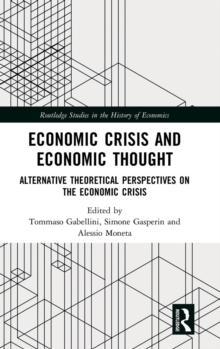 The work also explores Hume's textual method and charts the move from abstruse philosophy to a Ciceronian engagement with social conditions and problems as developed in the Political Discourses. In addition, Hume's extensive use of analogies is also brought into clearer focus than is found in other texts. Overall, the book will be of great use to both postgraduates and undergraduates alike.